Undefeated UFC welterweight contender Ben Askren predicted Darren Till would defeat Jorge Masvidal in the main event of UFC London last weekend, and hoped to fight him soon thereafter. As we now know, this is not the way things went down, as Till was flattened by his opponent Jorge Masvidal. In the wake of Till’s knockout loss to Masvidal, Ben Askren has been forced to reassess the options for his next fight. 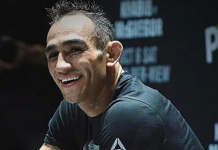 He says he’s interested in a fight with Jorge Masvidal — but he’s not sure the feeling is mutual. Ben Askren added that he’d also be interested in fighting Leon Edwards, who impressed him by defeating Gunnar Nelson in the UFC London co-main event. “No one likes Colby,” he said, first taken an opportunity to bash top contender Colby Covington. “I don’t like Colby. I would love to skip over him and fight Usman [for the title], but it doesn’t seem like Usman wants that either. He’s not keeping that same energy, as the kids say. I would love to have him call me out. He didn’t. So, again, I thought Till was going to win tonight. I think we’ll go reevaluate. I’d love to fight Masvidal. I’d love to fight Leon Edwards. While Ben Askren seems pretty open to a number of possible matchups, there’s one he isn’t interested in: a rematch with Robbie Lawler, who he defeated with a controversial submission in his UFC debut. 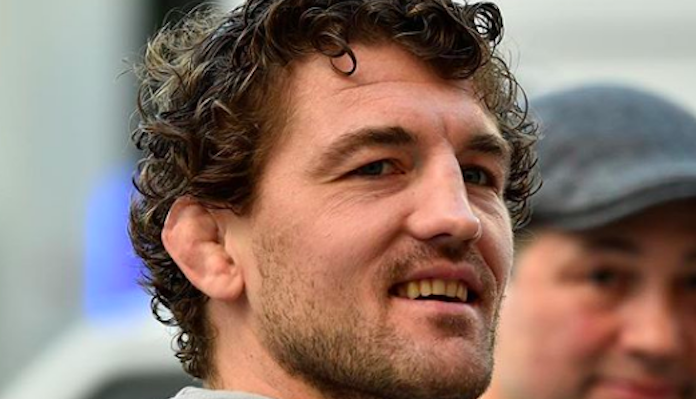 Who do you want to see Ben Askren fight next?